Many times I have a prospective client on the phone, or in the conference room during a consultation, speaking openly and candidly about their life, their experience, their ambitions, their motivations and their dreams. Sometimes these sessions can become very emotional, and on many levels very real… As an experienced immigration attorney I can never lose sight of the fact that my conversation partner is a REAL, tangible person, imperfect, filled with emotions, striving for some goal, with varying life experiences and circumstances. To me, clients are not case numbers or file numbers, they are not receipt notices, or passport numbers, they are not abstract businesses on paper, or anonymous applicants. They are PEOPLE. While I have many many clients all around the world, from virtually tens of different nations, cultures, backgrounds, each client’s case is THEIR most important case to THEM. THEIR life and livelihood depends (at least perceivably to them) on the successful outcome of their case. To each and every applicant, a lot is at stake, and much of what the client has worked and strived for in the past is now hanging in the balance, hoping for a good result. 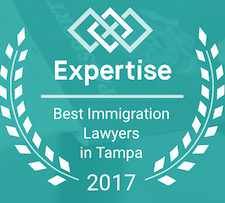 While even the best immigration lawyer in the world cannot guarantee success and good results, having the right legal advisor at your side early on, can substantially increase the success of your application or petition for whatever immigration benefit you seek. I frequently find myself dumbfounded, when I see someone for a consultation and they tell me their story of their plight, their bad experience, the time lost, the case denied, a lot of money spent, etc. During the course of this difficult conversation all-too-often it comes to light, that much of this pain and agony could have been avoided, had this person chosen their advisor more carefully. I feel a sense of public duty to try to educate (briefly) any would-be client or person in need of Immigration legal advice on how to make an informed, safe decision when choosing their legal advisor. These tips and bits of advice I am about to give are by no means a guarantee of future success of your case or an “insurance policy” against failure, BUT following my advice here will certainly increase your odds of finding, selecting and working with a sound legal professional who will is bound by responsibility and legal ethics to do right by you and work FOR you. Please remember that the above are what I consider to be the “MINIMUM” of necessary requirements of a competent immigration lawyer. Notice that I said “lawyer”. 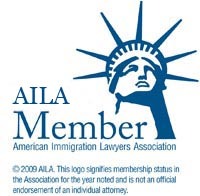 While there is no legal requirement on part of the U.S. government that immigration applications or petitions be prepared by and submitted by members of the legal profession, in my humblest opinion, I would strongly advise against self-help and self-petitioning, unless you have spent at least one consultation with a qualified and experienced immigration lawyer, to discuss your individual situation. DO NOT rely on lay-persons (= non-lawyers) to advise you, prepare any documentation for you, or to handle your case with the government authorities on your behalf. Such individuals, more likely than not, are NOT qualified to render such advice and assistance. Many unlicensed, untrained persons will hold themselves out to be “knowledgeable”, “experts”, “advisors”, “visa consultants”, “visa professionals”, “visa preparers”, etc. etc. (they can be creative with their titles). Do not hire and retain the services of any person whose credentials you cannot verify. It doesn’t matter how well-recommended they come, what titles or degrees they possess, or what they claim their experience level is. Refer back to the above-stated requirements, and make SURE your chosen advisor has or exceeds these credentials. Lastly, use your good judgment and some degree of common sense. 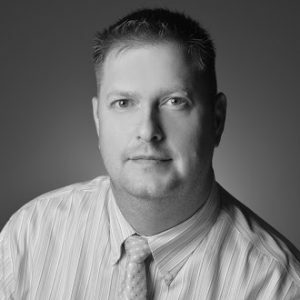 Meet the advisor. Have open and candid discussions with the advisor. 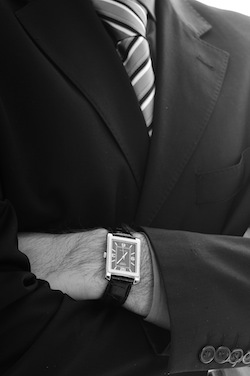 He or she should be able to answer ALL of your questions, honestly, fully, and provide a clear and direct assessment of your situation, as best as possible, considering the time spent and the information exchanged. You MUST be able to trust and rely on your advisor. Your advisor must be able to trust you, and must be able to give you bad news, as well as the good. Follow these handful of pointers in your selection process, and you should be able to end up with a good legal advisor, who is not only qualified to handle your matter, but whom you will also trust and respect for years to come. 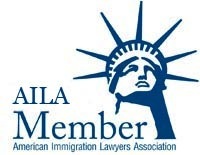 The American Immigration Lawyers Association (AILA) has a good page that tends to reiterate most of what I’ve been saying in my own words.